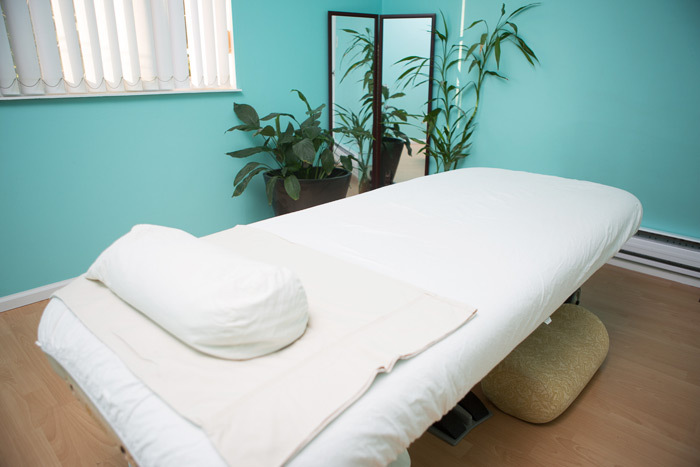 I provide a deeply calming holistic treatment in a safe and nurturing environment. My goal is to understand how my client’s physical and emotional habits have impacted their health and well-being and how I can gently and efficiently facilitate their healing. 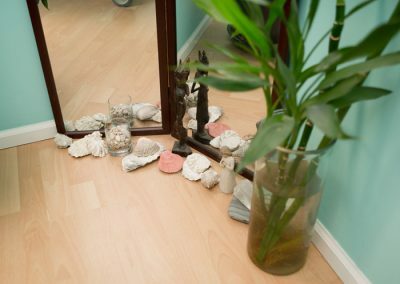 I focus on improving my client’s quality of life through restoring strength, flexibility and energy from past injuries, reducing the effects of emotional pain and stress on the body and encouraging mind-body awareness. During your treatment, I will use a combination of Shiatsu, CranioSacral, Visceral Manipulation and L.A.S.T to ensure that I use the appropriate techniques to address your individual concerns. My private studio is located in the peaceful neighbourhood of Hastings-Sunrise, just east of Commercial Drive, a quiet oasis away from traffic and congested streets. 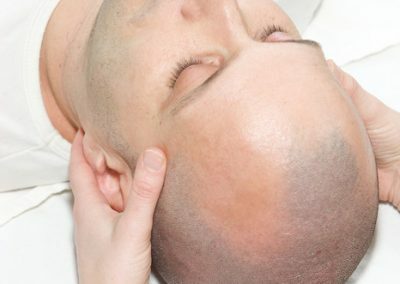 Shiatsu is an acupressure technique to nourish and strengthen the body’s natural healing abilities by ensuring that the flow of vital energy (ki) is running smoothly without stagnation, blockage or weakness. The treatment style can vary from very light and energetic to deep pressure. Shiatsu replenishes the body’s lymphatic, circulatory, digestive and nervous systems. Receiving regular treatments strengthens the body’s immunity, improves digestion and sleep, processes impurities more effectively, promotes efficient functioning of the organs and increases one’s energy. By addressing underlying imbalances, Shiatsu promotes a deeper physical, psychological and emotional awareness of the body. Visceral manipulation is a treatment that gently releases restrictions in the organs’ supporting structures. The fascial tissue and ligaments that support the organs can get injured or stressed from physical impacts, food pathogens, infections or emotional trauma and, therefore, the organs cannot move and function efficiently. By gently manipulating the organs and the supporting tissue, the therapist can free the body of the restrictions, increase blood flow, improve function and allow your organs to heal. The CranioSacral system (CSS) is comprised of a membrane (the dura) that surrounds and protects your brain and spinal cord and the cerebral spinal fluid where it pumps to nourish, clean and heal your central nervous system. By gently manipulating the cranial bones and the sacrum, which sit atop the dura, CranioSacral Therapy can alleviate bone or tissue restrictions caused by a physical trauma, bacterial or viral infections or emotional stress. By improving the flow of cerebral spinal fluid, the CSS is hydrated and restored to a functional state. Ligamentous Articular Strain Technique (LAST) is a style of treatment that addresses injury or dysfunction to joints by applying pressure to bone, muscle, fascial tissue or ligaments. These specific techniques are designed to stimulate healthier communication from the joints to the brain and vice-versa. The effects of L.A.S.T. can improve alignment, blood flow and neural function and decrease joint pain and muscle tone. 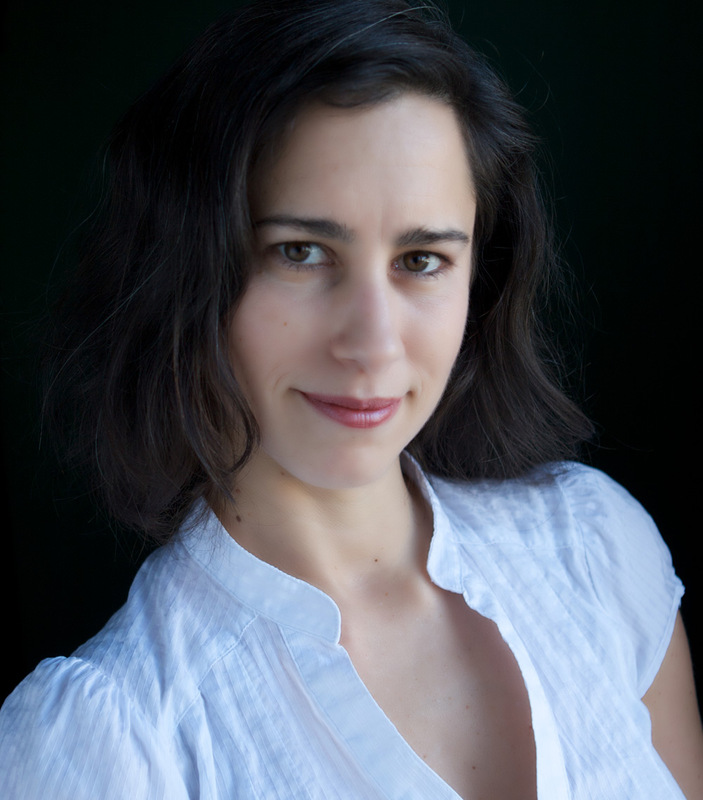 CranioSacral treatments with Francesca have helped alleviate the chronic neck and back pain that had been troubling me for years and has helped me to cope with my anxiety. Through regular Shiatsu and CranioSacral treatments, I have been able to let go of stress and I feel more relaxed, energized, positive and grounded. Francesca really takes the time to understand my issues and provides custom treatment, as well as practical advice. S.M. It’s true that Francesca intuitively knows which muscles need attention. She has a talent for assessing aches and pains and finding spots that you don’t even realize need work. Her calm energy and healing hands have helped the pain in my lower back, shoulders and neck, and I’m grateful for her monthly visits to our office. I look forward to every treatment because they feel so good, and they leave me feeling physically and mentally refreshed. Mari K.
A $30 fee will be charged for cancellations with less than 24 hours notice, and the total cost of treatment will be charged for missed appointments. Please dress in loose, comfortable clothing to allow for proper stretching of the limbs and torso. In order to ensure that you receive the greatest benefit out of your treatment, it is recommended that you do not consume alcohol or use drugs prior to the treatment and avoid eating an hour before. After your treatment it is recommended that you drink plenty of water to allow the proper elimination of toxins, and rest, nap or take it easy for the rest of the day.